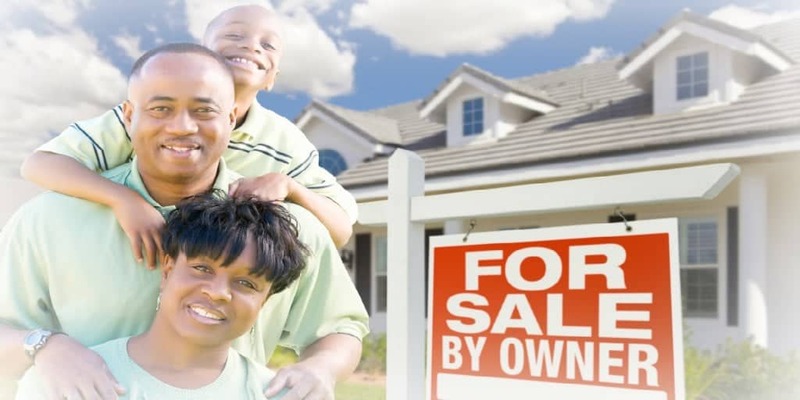 Home » Save Money » Is It Better To Sell Home By Owner Or Use A Realtor? If you’re thinking about selling your home, you want to get the best price possible. Eliminating realtors’ commissions puts more money in your pocket. But does it make sense to sell your house without a realtor? Will it save you money in the long run? And how much work will it be? 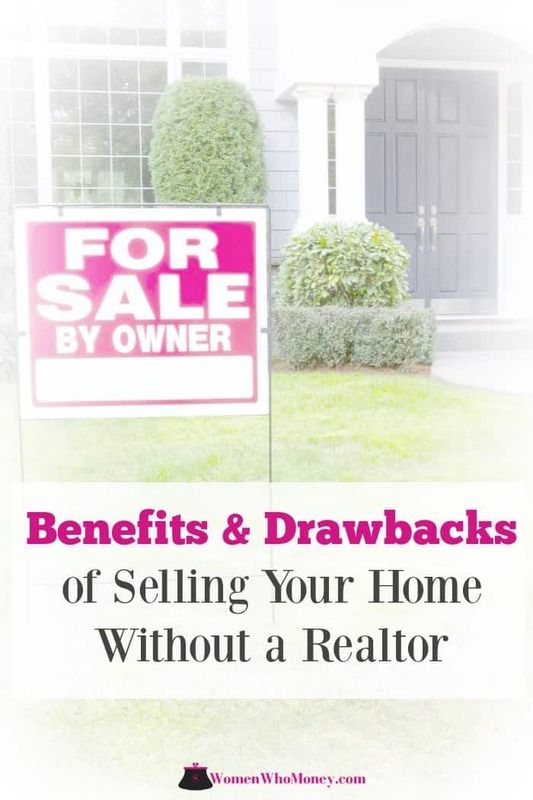 There are benefits and drawbacks to both for sale by owner (FSBO) and using a realtor. Selling your home on your own can save you money. But it also takes some know-how, plus a whole lot of time and energy. Take a look at both options to make the best decision for you. Does it Make Sense to Sell Without a Realtor? The most common reason homeowners choose to do for sale by owner (FSBO) is to save money. Hiring a realtor means paying commissions, which average around 6% of the sales price of the home. The thought of shelling money out, on top of other moving-related expenses isn’t appealing. Price your home competitively. Do your research on home values in your area. Look at sales prices and not just listing prices – or estimates on Zillow. Homeowners sometimes price their home too high because of their personal connection to it. Get your home listed on the Multiple Listing Service (MLS). The MLS is a local database realtors in your area use to list and sell homes. Listing your home on the MLS is a must to reach the biggest pool of buyers (since most buyers work with a realtor). Put up yard signs. Passers-by should be able to see that your house is for sale – and they need a number to call if they’re interested. Advertise and market your home. Make flyers, create a website, and list it on Craigslist, Facebook Marketplace, and other online markets. Host an open house. Advertise your open home online and with yard signs. Show your house. Answer calls and schedule showings with interested buyers and their realtors. You can be home during showings, or you can get a lockbox so realtors can access your home when you aren’t there. Negotiate a sales price. When you receive an offer, you might want to negotiate the price and terms. It’s best to have an attorney look over the offer before signing it. Once the buyer and seller both sign the purchase agreement, it becomes a legally binding contract. Follow the law and fulfill your end of the contract. Federal and local laws apply as well as the terms of the contract you signed. Complete the appropriate paperwork and disclosures, and follow the terms of the signed agreement. Realize you will still spend money. Though you may not pay a full real estate commission with an FSBO, you will spend money. You will pay for advertising, MLS listings, attorney fees, closing costs and possibly even buyers’ agent commissions (2-3%). FSBO.com and other flat-fee real estate services offer home-selling packages to help you market your home. These can include signs, ads, and the MLS listing. You don’t have to pay the listing agent’s commissions. This is, by far, the most significant advantage to selling your own home. By not paying a listing agent (seller’s agent), you won’t spend as much for commissions on the final sale price of the house. You determine the price of your home. Though you get to make this decision, you will want to do your best to price it competitively. You can get an appraisal on your house to obtain an accurate value of your home. You have more control over showings. And since you’re managing all the showings, last minute showings are less likely. You know your home’s selling points. You can tell potential buyers about updates, utility bills, great neighbors, proximity to recreation, and more. FSBO takes time and energy. Not only do you have to get your home ready for showings, but you have to research price, take photos, create listings, field phone calls, and show your home. You have to ensure you’re following federal and local laws. The risk of not doing this is a potential lawsuit down the road. The savings on commissions could end up costing you in price. If you don’t know your local real estate market or are uncomfortable with negotiating a fair price, you could lose out on a higher price for your home. You might not sell as fast. If you price your home too high or aren’t able to get enough buyers through the door, your house might not sell. In the end, you could end up discounting the price or hiring a realtor. Being objective is difficult. A home represents more than a financial asset to a homeowner. Whether you’re negotiating the price or dealing with an inspection issue, it can be challenging to keep your emotions from interfering. Some agents aren’t as willing to show for sale by owner (FSBO) properties. Even if you are offering a commission to the buyer’s agent, if they aren’t sure, they might pass over your home. With total commissions of anywhere between four and seven percent of a home’s sale price, hiring a realtor can cost you. But for many home sellers, the price is worth it. Charges a commission. This is a percentage of the sale price of the home and isn’t paid until closing. Sellers pay the buyers’ agent and sellers’ agent, for a total average commission cost of 4-7% of the sale price (split between the two agents). Offers a package of services. Services vary by the real estate brokerage. Most will provide all advertising, signs, brochures, MLS listing, photographs, and videos. Assists with pricing and negotiations. Realtors have access to the MLS system, which helps you arrive at an informed, competitive price for your home. They also negotiate the price and terms of a contract for you. Take care of the paperwork. A realtor helps you with the required paperwork. They assist with offers, counteroffers, disclosures, and more. Communicate with all parties involved. They communicate with the buyer’s agent and may assist with other communication, like with the title and closing companies. Bound by professional ethics and the law. Licensed Realtors® are obligated to the National Association of Realtors code of ethics. They have a fiduciary duty to keep clients’ best interest as a top priority. An agent provides guidance and support. They can answer any questions you have and provide objective feedback. Realtors can guide you through the selling process. Saves you time and energy. You don’t have to worry about listings, paperwork, marketing, or showings. Realtors have knowledge and expertise. Real estate is their job. Realtors can help you make a more informed decision on price and offers. You get the most effective marketing. Your home will be listed on the MLS. Realtors cover the costs for marketing your home, such as professional photography, syndicating your listing to popular real estate websites, and more. Realtors provide all the required paperwork. You don’t have to worry about finding and filling out the necessary paperwork – or missing something important. Buyers’ agents are more likely to show your home. When you hire a realtor, other agents know you will pay the commissions – which means they will get paid if there is a sale. Your agent will negotiate on your behalf. Your realtor can negotiate the best price and conditions, so you don’t have to. It’s expensive. The cost of hiring a realtor is, by far, the biggest drawback. Commissions are sometimes negotiable. You aren’t the agent’s only client. Real estate agents have several clients at a time. If your agent has a lot of clients, they may not have the time or energy to give you the attention you want. Your agent might have different ideas on price. Your agent might suggest an amount higher or lower than you expected. Sometimes the timing is inconvenient. Whether it’s showings, price reductions, or important dates (like closing), your realtor might not be able to accommodate your schedule. You could be at the mercy of your agent’s timeline instead of yours. Is For Sale By Owner the Best Approach to Selling Your Home? It depends on you and your situation. If you need to sell your home fast, don’t have extra time, and don’t want to do the paperwork or marketing, hiring a realtor is likely your best option. 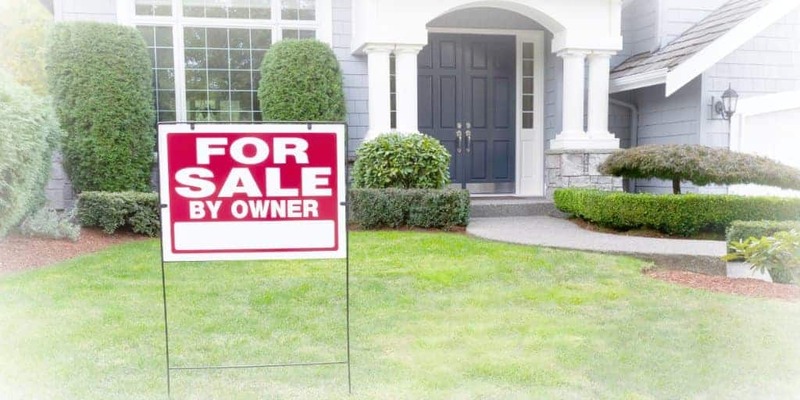 But if you don’t have to move right away, and you’re willing to put in the time and energy to sell your own home, for sale by owner can be a good choice. When you’re selling your house, you’re making one of the largest, most complicated financial transactions of your life. The decision to hire a realtor or do FSBO is a tough one. Take a close look at the benefits and drawbacks to decide what works best for your situation.